I question this generous, and somewhat misguided approach, which does seem rather odd – cutting the price of seeing a non-league game for fans accustomed to paying extortionate amounts to watch their regular club. If the clubs think that by doing this, the average football fan of a league club will decide to rip-up their prized season ticket and turn to the modest world of non-league, then there’s little hope. The best they can anticipate is if the fans enjoy the experience so much that they’ll come again when they’re having a night off of being an Arsenal fan. Making it half or concession price if you produce your season to the Emirates is a kick in the teeth for regular fans. Why continue to squeeze the die-hard who stands on empty terraces every other weekend while handing generous offers to the fan who knows where the ground is but has rarely ventured through the rickety old turnstiles of the local “United”? Clubs sometimes behave like they have a captive audience, but they don’t – non-league fans choose to watch their team not because of the quality, but because it is convenient, on their doorstep and accessible. Making it cheaper for people who have not made that commitment reflects a lack of care and attention on an audience that should be greatly valued. Frankly, non-league clubs should be more confident of their proposition. By discounting, there’s a suggestion that “£10 is too much so we’ll make it a fiver for those who don’t know too much about us”. Given a season ticket at a top club is expensive, the Chelsea fan on a blank Saturday is hardly going to flinch at the price of two pints of craft beer to see the local step 3 outfit. Don’t get me wrong, I am in favour of throwing carrots to people in order to lure them to non-league football, but I don’t think it’s necessary to pander to fans who are firmly embedded in the ludicrous world of Premier League football that’s been fiercely supported by its clientbase. Far better to underline the positives of the non-league game such as friendly and enthusiastic crowds, community and honest endeavour than to sell it short as some form of curiosity. Deep down, the clubs must realise they’re actually reaching out to people that can afford non-league prices, because they’re quick to raise admission if they are playing a top club, even in pre-season friendlies, with the caveat – “their fans are used to paying higher prices”. So why go in the opposite direction in the pursuit of drawing fans in on a blank Saturday? – it is quite possible that those in need of their football fix will go along to see non-league anyway – and gladly pay £10. But do clubs feel that £10 is actually too much? I sense the public may have that opinion, hence “pay what you want” games are usually well attended – because £10 is not the asking price. Non-league’s future depends on winning new fans, people who don’t normally come to games, but it won’t necessarily be taking them from a higher level – i.e. Football League clubs – it will be from younger people marginalised by the cost of big-time football and those who have yet to discover the pleasure of watching something that’s part of the neighbourhood. 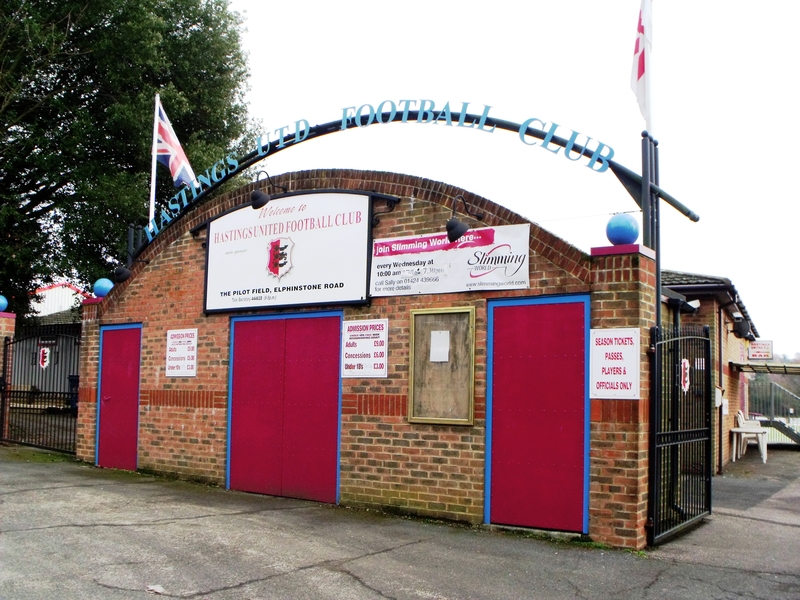 Surely, non-league clubs should be doing their best – and some do it very well – to make it more affordable for these segments of the community? Such a scheme was tried out at Bradford Park Avenue for a recent home game. Bradford City were at home the same day and as their game was postponed, a number of their supporters took up the offer. With fans from Huddersfield Town, South Shields? and Halifax Town there, it put another sixty or so on the gate and they witnessed a cracking 3-3 draw with a few saying they would be back.